St. John's Church is the mother church of two dioceses, Springfield and Worcester. It was the first Catholic church in New England built outside of Boston, founded by native Bostonian Father James Fitton, when the Diocese of Boston was the sole diocese for all New England. Father Fitton is often called the Apostle of New England. In its earliest days, Father Fitton and the parishioners of St. John’s reached out to the Passamaquoddy Native Americans as well as to the poor Irish Catholic laborers who built the Blackstone canal and the early railroads in Worcester. 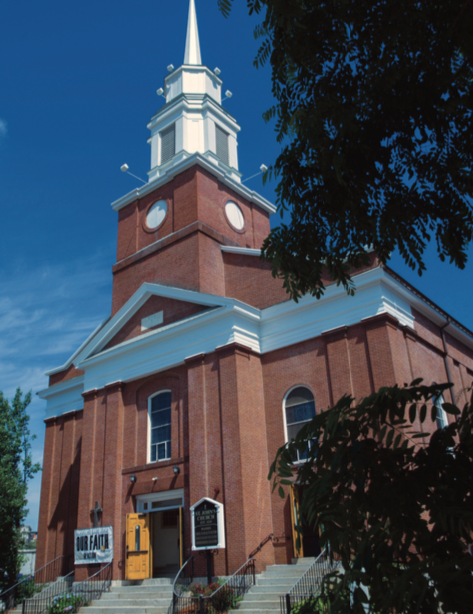 Located in the heart of downtown Worcester, the church’s elegant spire rises across the railroad tracks and the highway, and beckons all believers, especially immigrants and the poor, to a place of solace and hope. Our mission “Helping others and reaching out to the poor and hungry” has never wavered. 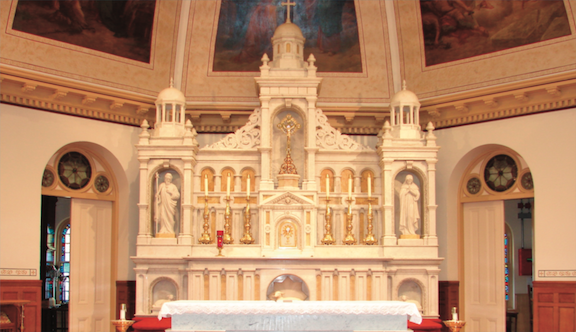 St. John’s Lower Church struggled to accommodate the numbers of hungry and homeless people who came in. 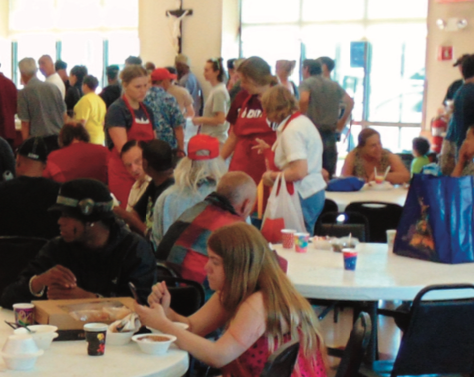 In 2012 we were serving 125 guests each day: we needed more space and we wanted to be able to offer help beyond serving a meal. 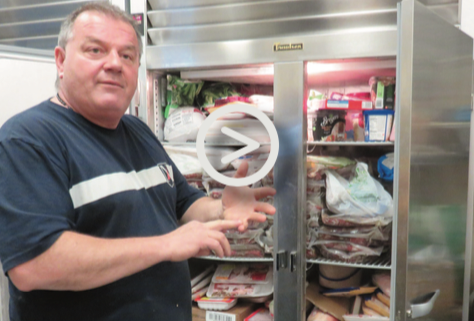 St. Francis Xavier Center, additional space was needed to store the increased quantity of food and produce being donated to our program. The process of expansion began. On May 4, 2016 we cut the ribbon for the extension which houses prep and storage areas, a walk-in freezer, and a walk-in refrigerator for the fresh fruits and vegetables for the new "Say Yes to Nutrition” Program. 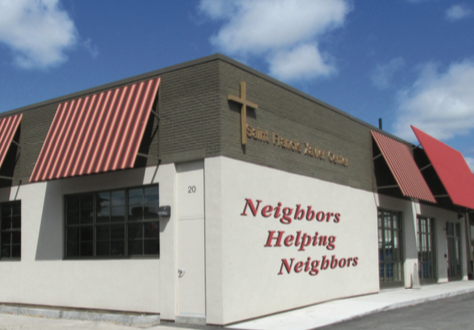 The improved St. Francis Xavier space is big enough to accommodate many additional humanitarian programs that help provide warm clothes, employment opportunities, holiday meals, food for pets, toys for children, and more.